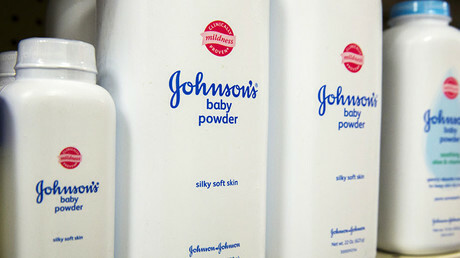 Pharmaceutical giant Johnson & Johnson has lost its second legal battle in a row over its talcum powder, which has been alleged to cause cancer. The company must now pay $55 million to a woman who says she got ovarian cancer after using the product. 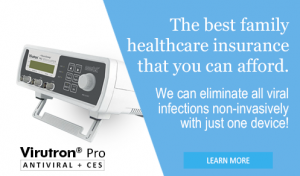 Less than four months after losing a $72 million case in the same St. Louis, Missouri, courthouse, Johnson & Johnson was ordered to pay $5 million in compensation and $50 million in punitive damages to Gloria Ristesund. The 62-year old South Dakota woman was diagnosed with cancer in 2011, which she stated was “a direct and proximate result of the unreasonably dangerous and defective nature of talcum powder,” which she used for almost 40 years. Ristesund’s cancer is currently in remission, since she underwent a hysterectomy and related surgeries. Ristesund is one of over 60 plaintiffs who filed a class-action lawsuit against J&J, its supplier Imerys Talc America Inc and Personal Care Products Council, accusing them of “wrongful conduct” that caused their cancers. J&J is planning to appeal the verdict. Company spokeswoman Carol Goodrich argued that the jurors’ 9-3 decision in favor of Ristesund contradicted 30 years of research. 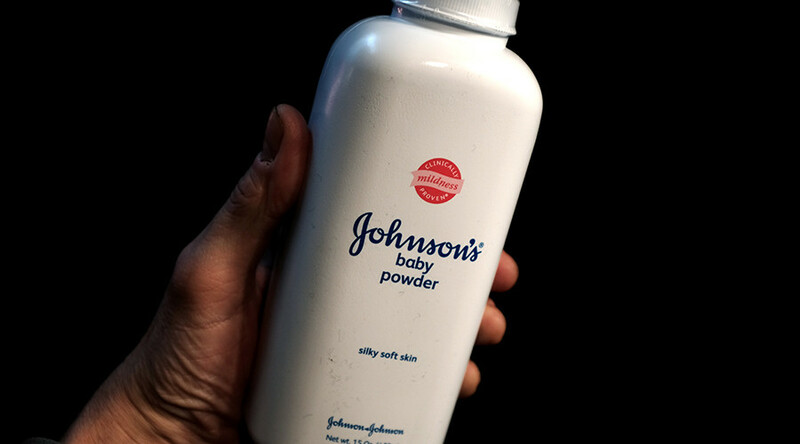 One of the world’s largest maker of health-care products, J&J has been denying any links between talc and ovarian cancer as well as any need to warn its consumers. “Unfortunately, the jury’s decision goes against 30 years of studies by medical experts around the world that continue to support the safety of cosmetic talc,’’ Goodrich said in a statement. “Johnson & Johnson has always taken questions about the safety of our products extremely seriously,” she added. J&J attorney Christy Jones also argued that Ristesund had several risk factors for ovarian cancer, including her family history of cancer, endometriosis and the fact she had no children. It has taken the jurors three weeks to reach a verdict, as opinions on whether the talc was a contributing factor in ovarian cancer diverged, Bloomberg reported. They did clear J&J’s supplier and co-defendant, Imerys Talc America Inc., of any liability. The New Jersey-based company is facing about 1,200 lawsuits accusing it of failing to adequately warn consumers about its talc-based products’ cancer risks. In February, J&J was ordered to pay $72 million in damages to the family of Jacqueline Salter Fox, who claimed that the company’s talcum powder caused the ovarian cancer that killed her within three years. That case was the first to result in money compensation. In 2013, a federal jury in Sioux Falls, South Dakota found that plaintiff Deane Berg’s ovarian cancer had been caused in part by Johnson & Johnson’s body powder, but Berg was not awarded any damages. Previous post: Did Gov. Rick Snyder Resort to Murder to Avoid Prison for Flint Water Lead Poisoning? It is a known fact that talcum powder has been found in ovarian cysts just like aluminium from underarm deodorants has been located in breast tissue of cancer patients. My deceased friend was told by her specialist that calcium powder caused her ovarian cancer. He said they made it with asbestos years ago and she use to lather herself with it every day.